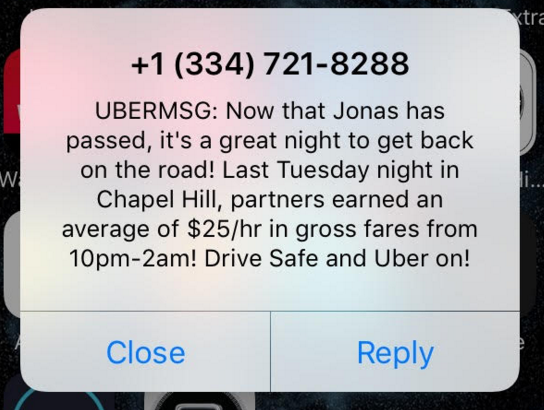 Home › Uber › How Much Do Uber Drivers Make Per Hour? Note that this is during the busiest time of the week in a college town. Generally, you will make between $10 and $15 an hour if you are not driving during “going out” hours. When looking at my revenue for the last few weeks I am averaging about $10 an hour but much of this time is in my office with the Uber app on with no requests coming in. If you could have a rider in your vehicle more than 50% of the time you are logged in to the Uber Partner app you would easily make close to $20 an hour. This isn’t a bad side income for someone that has free time to drive around. If you are interested in driving for Uber check out this link with the invite code jessew240. If you have any questions about driving for Uber or how much money you will make per hour feel free to comment below.